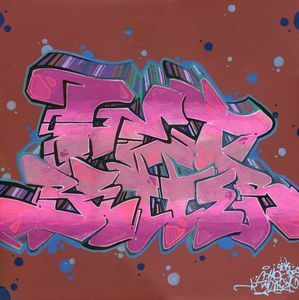 Vinyl album cover reading "Get Better" in graffiti. 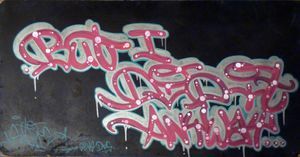 Inspired by the song of the same name by Scroobius Pip and personal to myself as it deals directly with my own medical issues. 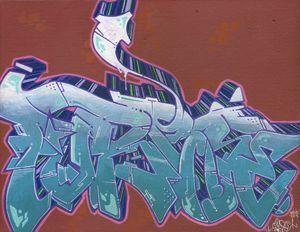 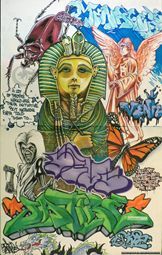 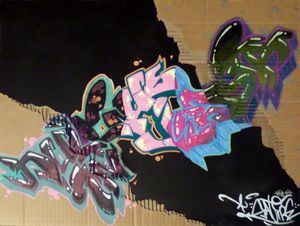 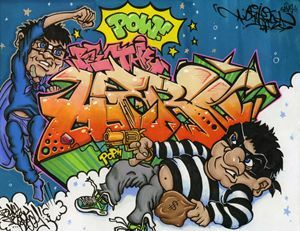 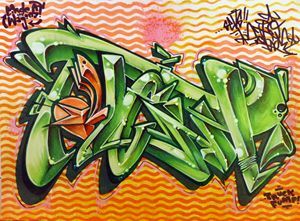 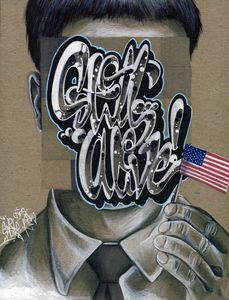 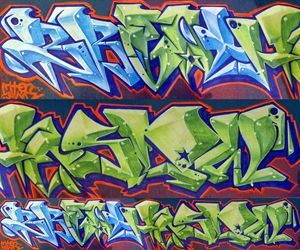 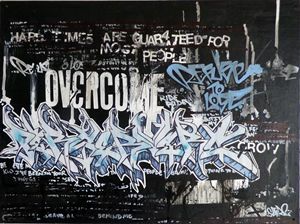 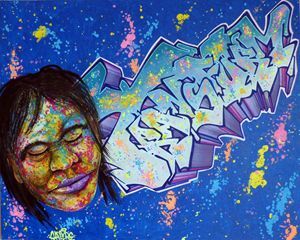 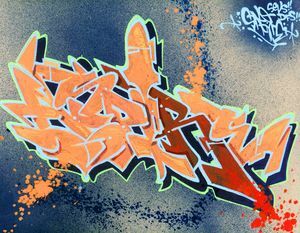 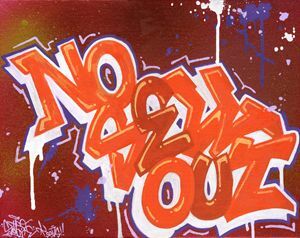 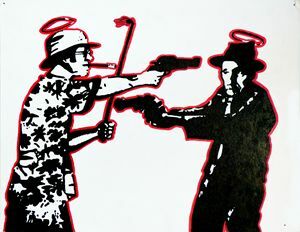 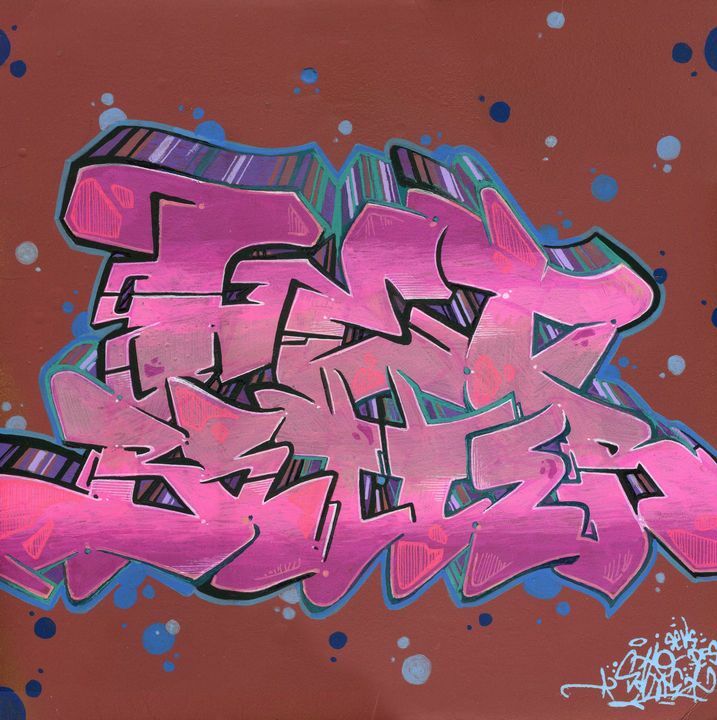 SATIRE of SEVS Crew is a graffiti writer applying many different art styles to many different ideas. 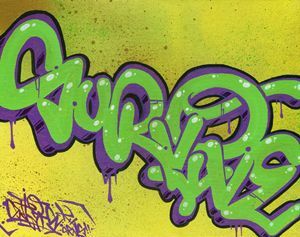 Also, customer graffiti is encouraged, if you have always wanted your name or the name of a loved one in a highly colorful and stylized manner.